It's a bird ... it's a plane ... no, it's Superman, updated for the new millenium! We seem to have hit a lull with the construction news that gets BizMojo Idaho readers excited, so let's go to the movies. 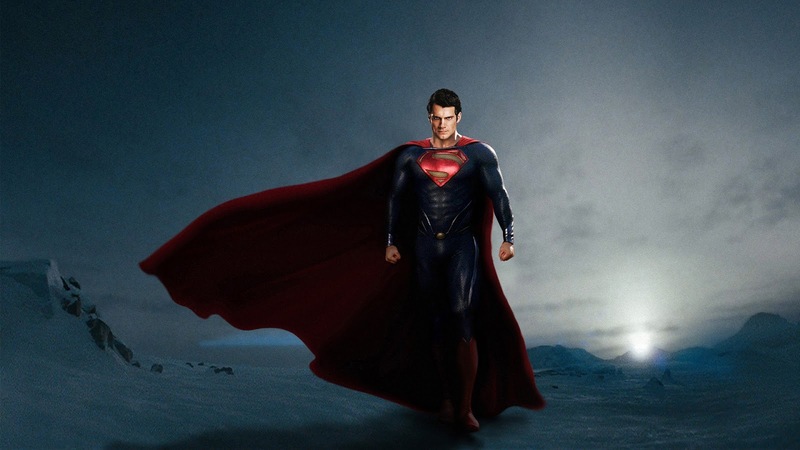 "Man of Steel" doesn't bring a whole lot new to the Superman story, but that would be pretty tough to do. Although it had its shortcomings (more on this later), I found it to be an excellent movie for Fathers Day and especially good for adoptive parents and children. The story, first laid out in 1937 by Jerry Siegel and Joe Shuster, is all here. With their home planet, Krypton, due to explode any day (the result of reckless energy extraction, hint, hint), baby Kal-El's parents, Jor-El (Russell Crowe) and Lara (Ayelet Zurer), put him in a space capsule and shoot him to Earth. He is found in cornfield near Smallville, Kan., by Jonathan and Martha Kent, who raise him as their own. Because of the Sun's radiation, young Clark Kent has extraordinary abilities that he must keep under wraps. Too bad every school bus he rides on seems to plunge off a bridge, leaving it up to him to save the day. This part of the tale is done in flashback, with Kevin Costner and Diane Lane as Jonathan and Martha. Clark is played by the suitably handsome Henry Cavill, an English actor best known for his work on Showtime's "The Tudors." He has a nice way of underplaying the role, suggesting Tom Welling and the TV show "Smallville" more than Christopher Reeve. Any Superman movie had better have a good Lois Lane, and in "Man of Steel" the honors go to Amy Adams ("Enchanted," "The Master") who plays the Daily Planet reportrix with the requisite pluck and grit. Unlike the Superman we grew up with, Lois traces the Man of Steel back to his roots and puts the pieces together. No pair of horn-rimmed glasses is going to fool her. This is a Superman for the 21st century. Clark/Kal-El spends a lot of time adjusting to Earth, working odd jobs (fishing trawler, dishwasher, etc.) and keeping a low profile. His senses are heightened and the X-ray vision is a bit of a freakout for him in elementary school. During all this time, a gang of imprisoned Kryptonians led by General Zod (Michael Shannon) has been freed by Krypton's destruction. They set out to find a new planet to colonize, and after 35 years of hunting they find Earth, whose defenses are far to feeble to thwart them. The last third of "Man of Steel" is taken up with explosions and destruction, flying tanker trucks, missiles, jets, etc., all of a piece with what we saw in "The Avengers," "Iron Man 3," the "Transformers" movies, and you-tell-me-what-else. Smallville gets trashed first, then it's on to Metropolis, where the level of destruction is truly gargantuan. I suppose this is the sort of action audiences expect, and I know someone is going to say to me, "I just go to the movies to be entertained." Fair enough. I'm not expecting "The Seventh Seal" when I go to a movie like this. If tickets sales are good there won't be any reason to stop making movies like this, no matter how boring and redundant these scenes of cataclysm may be getting to be. Spoiler alert: Kal-El/Clark/Superman defeats Zod and his minions. Most are sent back to their intergalactic Gitmo, but the general meets a more earthly end. The movie wraps up with Clark taking a job as a stringer for the Daily Planet. Considering the Kryptonian state of the newspaper industry I think he might want to rethink his career choice, but what do I know? Also, what's the deal with the Daily Planet building being all shiny looking when Metropolis had been destroyed only a short time before? Is FEMA that good in the DC Comics universe? Or did they get "super" help? For all my caveats, I can say without shame that I enjoyed "Man of Steel." As summer flicks go it was as good as "Iron Man 3." Expect a sequel in two or three years. I'm guessing the baddie will be Lex Luthor. Any ideas who should play him? It’s good, but I still look more forward to the sequels than ever before. Good review Paul.